After launching budget smartphone, Lenovo A7000 and Mid-range smartphone, Lenovo Vibe Shot, Chines PC giant Lenovo going to launch it’s best high-end smartphone, Lenovo Vibe Z3 Pro featuring 16-MP OIS camera, Snapdragon 810 with 4GB RAM on 23rd March 2015 in Black, White, Gold colour variant. Lenovo Vibe Z3 Pro lookalike Lenovo Vibe Shot but biggest competitor of Samsung Galaxy S6, Glaxy S6 Edge. HTC One M9 and Apple iPhone 6 Plus. 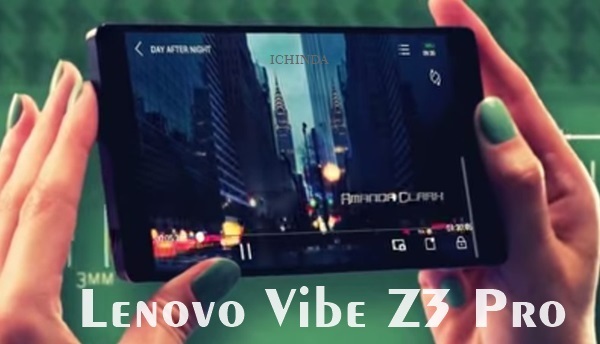 According to leaked specifications, Lenovo Vibe Z3 Pro will support Dual-SIM(MicroSIM), 4GLTE, 3G, GPRS/ EDGE, Wi-Fi 802.11 b/g/n, GPS/ A-GPS, Micro-USB, and Bluetooth comes with a bigger 5.5-inch qHD IPS display with resolution (2560×1440), ~534 ppi pixel density and Corning Gorilla Glass 4 with wide-angle HD viewing perfect for watching movies, reading e-books and playing games. Lenovo Vibe Z3 Pro is powered by a fastest 64-bit octa-core Snapdragon 810 processor with 4GB RAM and runs on most advance latest Android 5.0 Lollipop offers you blazing multi-tasking creates superior gaming environment and allows to run your apps smoothly while 64GB Internal memory and 128GB expandable memory offers you huge space to store your favorite songs, games and apps. Lenovo Vibe Z3 Pro will offer you a dedicated camera button sportinga huge 16-MP OIS(Optical Image stabilization) camera with Lazer Autofocus technology, and with tri-colour LED flash, six-piece modular lens and full-frame 16:9 low-light sensor perfect for low light shooting while 8-MP front camera with 1080p best for clicking selfies and making video call packed with a powerful non-removable 3400mAh battery with Quick Charge offers you new Dolby Atmos audio technology is perfect for listening music. Lenovo Vibe Z3 Pro Rivals Samsung Galaxy S6, Glaxy S6 Edge. HTC One M9 and Apple iPhone 6 Plus. At last few honest word, Lenovo Vibe Z3 Pro is the best high-end smartphone from Lenovo. What you think? Please be open to give your view. When are they actually going to release it?? ?March 23 was the speculated date. With this kind of spec it’s definitely on my must buy list. If anybody had a real and concrete news then please share it otherwise stop acting like company agents who just try to write for the sake of writing. Super set but battery can need 4000mah.